There are many ways to boost the quality of your landscape, like making it more comfortable to lounge in or more beautiful to look at. 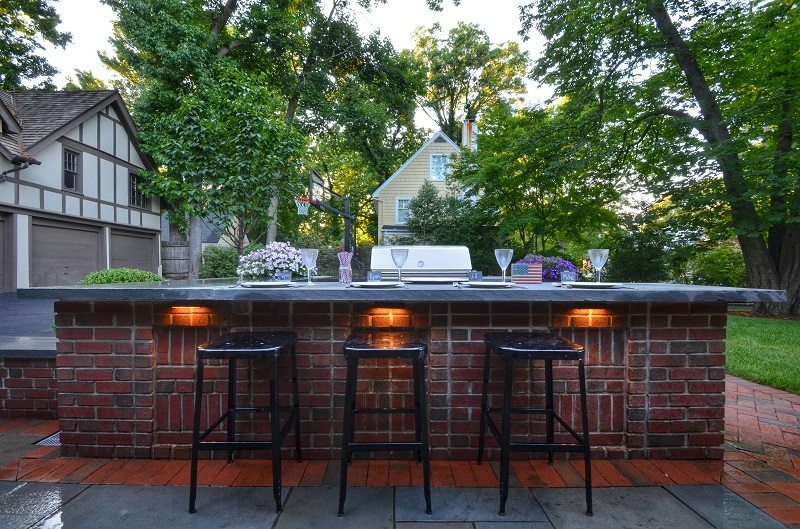 You can even bring indoor amenities to your landscape with an outdoor kitchen, bar, or stereo. Some items work better than others in an outdoor setting. Here are our top 5 ideas to create a great landscape design for the whole family. An outdoor kitchen can be one of the most relaxing places in a landscape. If your family enjoys cooking, an outdoor kitchen means spending more time outdoors doing what you love. A bar is useful if you entertain on a regular basis. If you don’t want a full bar setup, create a bar countertop in the kitchen area for easy serving options and space for seating. Adding wireless speakers to your outdoor space is a fantastic way to add ambiance. 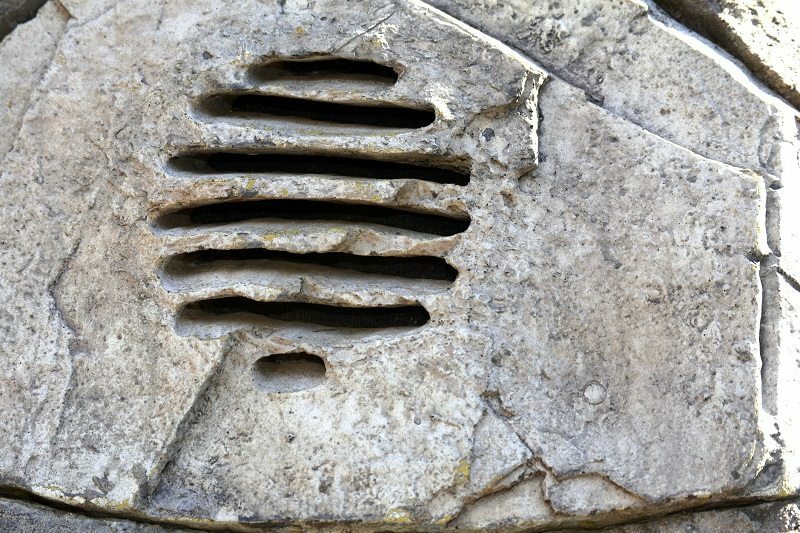 Small speakers can be strategically placed around your outdoor space to provide sound to your entire landscape in an unobtrusive way. Connect them to wi-fi, and you can simply tap a device to get the sound you’re looking for right outside your back door. 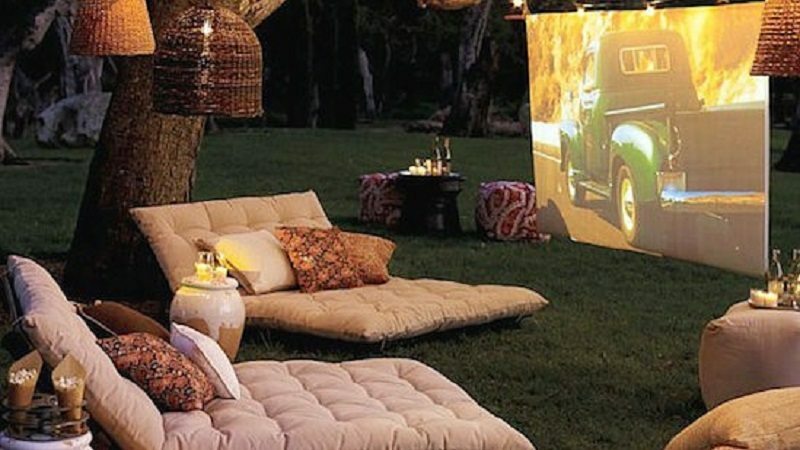 Get creative with your outdoor space by establishing an outdoor screening room. Add plenty of comfortable seating in front of a projector and a screen and you’ll feel like you’re at a drive-in movie all the time. Whether you’re hosting a backyard movie night or just watching evening TV, make it fun in your outdoor entertainment space. Another way to spruce up the outside view is to add a swimming pool, or, on a smaller scale, a decorative pond. 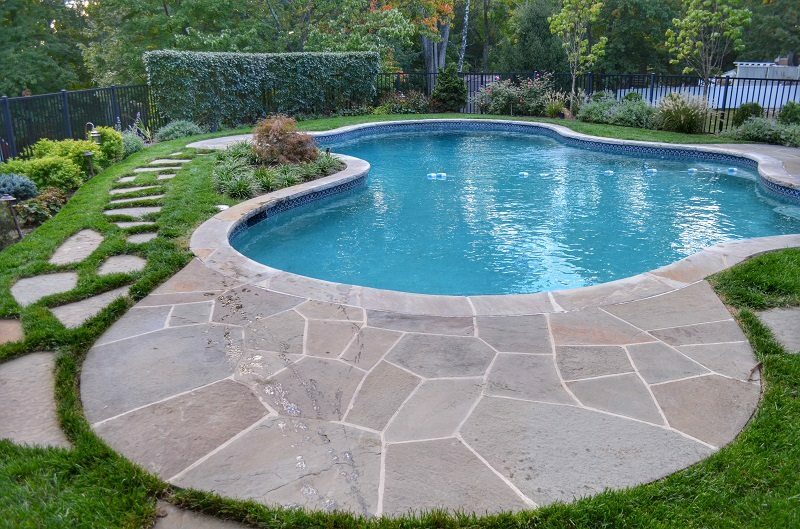 If you have a modern yard, consider adding a sleek, stylish pool. If you’re into preserving the natural look, try installing a goldfish pond surrounded by natural stones and aquatic plants. Finally, you want your outdoor space to feel comfortable all day and night. Add soft glowing lights to the patio floor, or go with a series of solar lights to line each pathway. 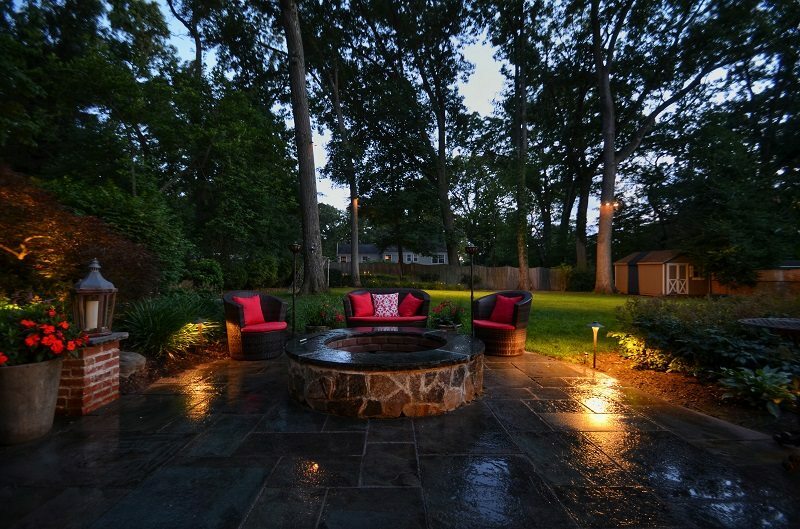 Landscape lighting will help your outdoor entertainment transition easily from day to night and make your space safe and useable anytime. There are many fun things you can add to a landscape to give it style, comfort and appeal. Make a list of your top outdoor entertainment features and see where creativity takes you!